PROFESSIONAL BUILDER – “Contemporary design” doesn’t have a specific meaning for Chris Presley. But the homes she’s building at the Leyden Rock master planned community in Denver—which include a Modern Prairie elevation—are selling like hotcakes. 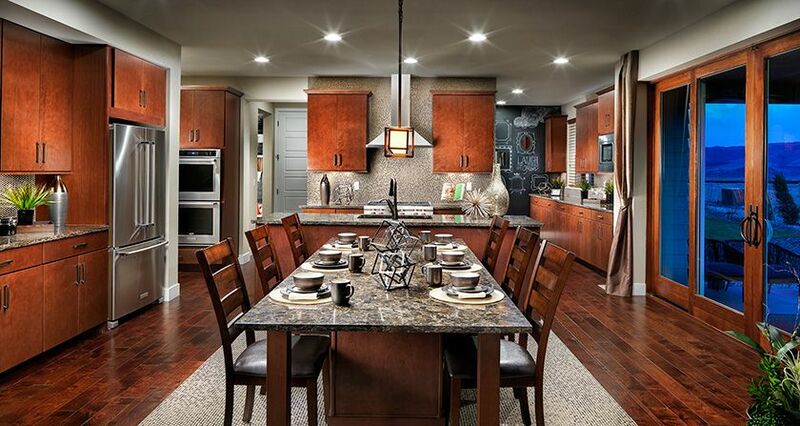 Presley started Epic Homes, in Littleton, Colo., about 15 months ago and opened models at Leyden Rock in April 2016.At press time, 13 of 52 detached homes were sold, priced from $476,900 to $539,900 for 2,361 to 3,498 square feet. Architectural color consultant Rick Overby also helped Epic up its game. “Rick understands that the quality of light in Colorado is more intense,” says KGA’s Jerry Gloss. “If you go too light [with the colors] it almost blinds you.” The color blocking and the textures of the materials are orchestrated to give the Summit “a little more zip from the curb,” Gloss says.